Hearts in eyes emoji forever. 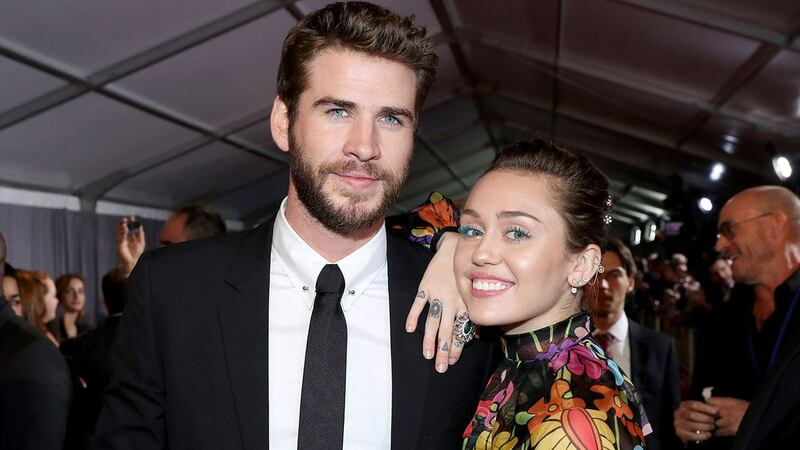 Miley Cyrus and Liam Hemsworth are back at it again with the whole being a really effing adorable couple thing. Friday was Liam's 28th birthday, and Miley posted a collage of pics featuring the two of them being cute-as-hell. The caption on the photos read, “Happiest birthday to my very best friend on the entire planet! I [love] u!” and Miley went very artistic on the photos, too—Insta painting them with cartoon pics of balloons, cake, and hearts. Awwwww! She loves her mali-boo! I'm so sorry for typing that, but also kinda proud. Did I invent it?! Let's just say I definitely did. And as great as that post was, Liam's message about his birthday might've topped it. Over a photo of his dad grabbing a piece of pizza, the Australian stallion wrote, "Perfect birthday...minus my dads hairy fingers diggin in my pizza. Thanks for the bday wishes everyone."